Trojans hold high-profile meetings with lawmakers, emphasizing key policy and funding issues. 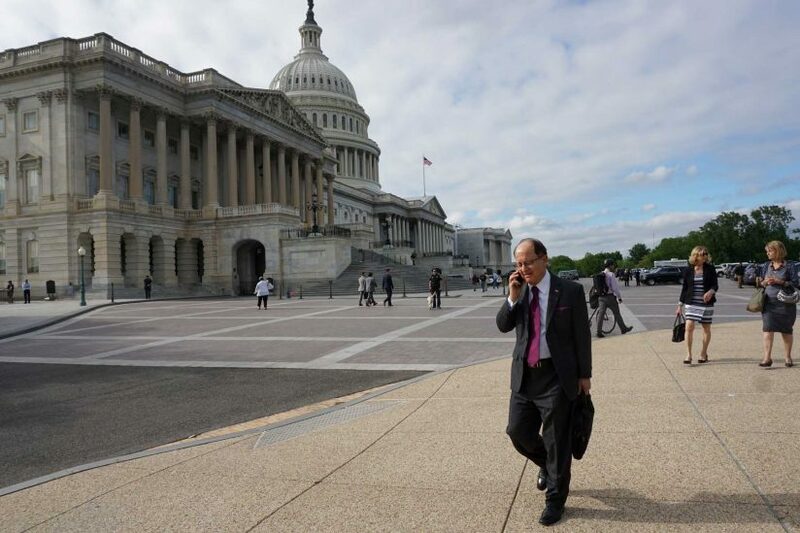 USC President C. L. Max Nikias led a group of trustees and university leaders to the nation’s capital on April 26 for a series of meetings with legislators. The group started its morning at a briefing session at the offices of The Washington Post, hosted by USC Trustee and Washington Post Publisher and CEO Fred Ryan. Following an introduction by Ryan and a presentation by Washington Post National Political Correspondent Robert Costa, the delegation split into two groups, led respectively by Nikias and USC provost Michael Quick. The groups — which included trustees Lisa Barkett, Daniel Epstein, Kathy Leventhal, Bruce Ramer, Edward Roski, Michael Adler, Christopher Cox, Suzanne Dworak-Peck and Amy Ross, Dean Karen Gallagher of the USC Rossier School of Education, Senior Vice President Tom Sayles, vice presidents Martha Escutia and Randy Hall, and Associate Senior Vice President David Brown — took USC’s messaged directly to lawmakers on Capitol Hill. Enlarge to see additional images. Delegates discussed the impacts of the Trump administration’s travel ban, expressing the difficulties affected students and faculty have endured. Although international applications remain robust, USC leaders told lawmakers that the university’s international recruitment team continues to hear a steady stream of concerns from prospective students from all over the world. 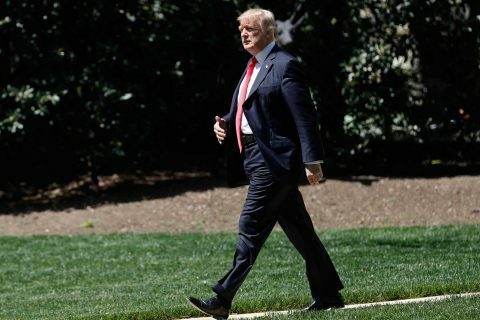 USC leaders also expressed their opposition to a number of the deep cuts proposed in President Donald Trump’s proposed 2018 budget, particularly in the National Institutes of Health and other basic funding, and to programs like TRIO, which provides educational services to low income K-12 students. Nikias and Quick both expressed their support for DACA students and asked lawmakers to support the BRIDGE Act, which would provide relief from deportation and employment authorization for affected students. Rounding out the list of priorities were discussions on resuming premium processing for H-1B visas, which the university relies on to recruit international faculty, and maintaining the 24-month extension to the Optional Practical Training program, which allows international students with advanced STEM degrees to remain in the U.S. for three years after graduating. After a packed day of meetings, USC hosted a reception for more than 200 alumni, elected officials and political staffers. Partnering with Politico, USC announced the release of its Blueprint for Expanding the College Pipeline, and Nikias engaged in a discussion about college access with Politico’s co-founder and editor-in-chief, John Harris. Nikias highlighted the success of USC’s Neighborhood Academic Initiative, its USC Rossier-affiliated charter schools and the university’s recruitment of community college students. 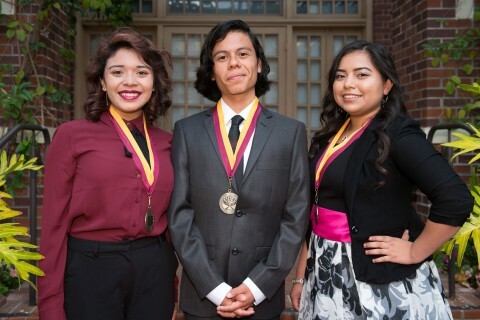 Together, these programs add hundreds of low income and first-generation students to the college pipeline every year. Nikias also called on USC’s peer universities to make a similar impact in their respective communities. Most of the students in the college prep school’s first freshman class come from the local community — and they’re feeling the faculty’s high expectations. A new USC Marshall graduate shares advice from her own experience starting school at Los Angeles Harbor College. Hundreds of future leaders have completed the program, which provides intense academic support to dedicated youngsters. From the travel ban to arts funding, the university’s experts weigh in and also examine how public opinion is responding to the new chief executive.